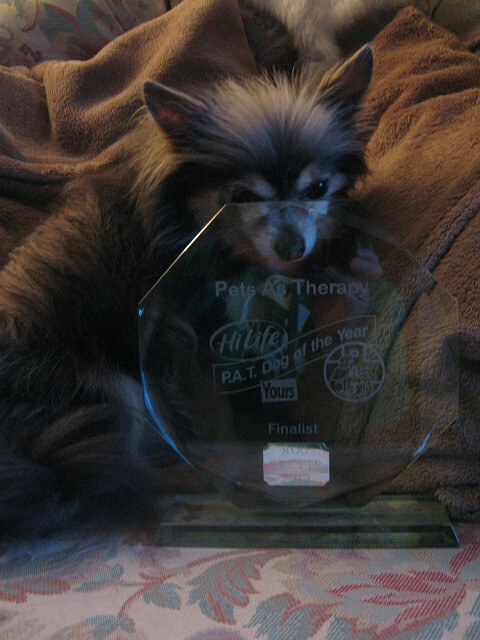 Well we had to show you, although not a great picture, a lovely glass engraved trophy, this was presented to Roo after his runner up place in the pets as therapy final at crufts. I've had a day off today as I had a new bed delivered, so tonight I'm sure Roo will be tucked up next to me trying it out, we then had a washing machine disaster but hopefully that will be solved tomorrow. The day ended with a lovely walk around our local nature reserve, the sun was going down and it's going to be cold tonight. Electric blanket and Roo what more could a girl want?